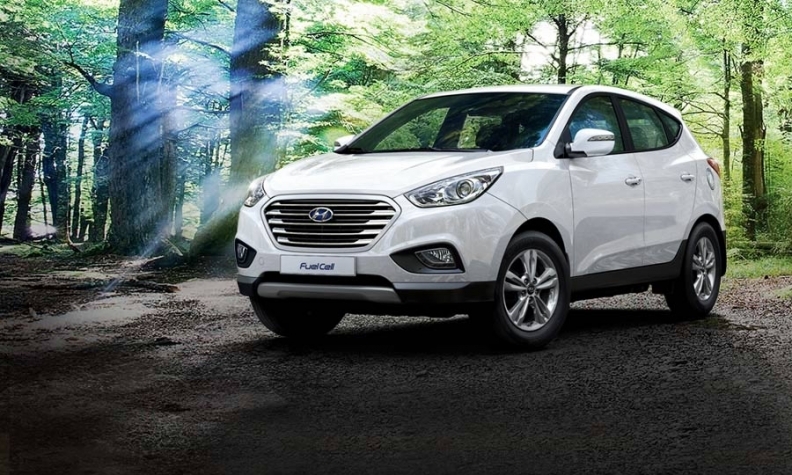 The Hyundai Tucson ix35 FCEV is the only hydrogen car available in Canada, and strictly as a lease. The manufacturers of hydrogen fuel cell vehicles are looking to the Canadian government to help provide the infrastructure needed to expand the sale of their products. A coalition, led by Hyundai, Honda and Toyota, has engaged the services of Fasken Martineau, a Canadian business that provides strategic advice and advocacy in government relations, to provide information about the value of hydrogen FCVs. The Honda Clarity, Toyota Mirai and Hyundai Tucson ix35 FCEV are commercially sold or leased in California, but that effort has been limited by a dearth of hydrogen fuel stations. The Tucson model is the only hydrogen car available in Canada, and strictly as a lease. The Mirai and Clarity are available in select California markets for sale and lease. Representatives of Fasken Martineau hosted three events in Ottawa in June to give Members of Parliament, Natural Resources Canada and members of the public an opportunity to see and drive the vehicles and to learn more about them. “We thought it was important to actually have the vehicles here for government decision makers to drive around and see the experience is exactly the same as driving a conventional vehicle,” said Robin Edger, a spokesperson for Fasken Martineau. “The central ask is for some sort of partnership in hydrogen-fuelling infrastructure. Don Romano, CEO of Hyundai Auto Canada Corp., started the coalition and said it is “absolutely irrelevant” to bring additional vehicles to the market without the fuelling stations. “I can’t get the infrastructure built just through the initiatives of Hyundai alone,” he said. “Toyota in this regard — and only in this regard — is a great partner because we see eye-to-eye on it. “The fact is, you’ve got the biggest manufacturers in the world making hydrogen vehicles — hundreds of millions of dollars in research and development from a variety of companies, not just Hyundai. Collectively, we didn’t put that kind of money in there to throw it away. That’s just crazy,” Romano said. “The commitment has already been made by the manufacturers. The chicken has laid the egg. Now it’s time for the government to start working with the incredible infrastructure we have in Canada that produces hydrogen,” and the network of existing gasoline stations that can accommodate new hydrogen pumps, he said. “We’re the leading country in the world when it comes to hydrogen technology and hydrogen production. I can go to California, which uses all-Canadian technology to help build their infrastructure and yet we have no infrastructure [in Canada],” Romano said. Edger said Fasken Martineau will continue to talk with federal and provincial ministers, “shooting for a key signal for investment,” so that the automakers can take that pledge and start bringing the vehicles to Canada. The hope is to have some kind of indication in the next federal budget for hydrogen-fuelling infrastructure. Romano said a combination of hydrogen and electric cars will provide consumers with a choice. Bob Redinger, owner of Ready Honda in Mississauga, Ont., and president of the 2018 Canadian International AutoShow that’s held in Toronto in February, says some governments are questioning if electric is the right way to go, and hydrogen could be an option. “It could happen much faster than [electric vehicles] and it’s a cleaner fuel,” he said. “It [hydrogen] is not as volatile as people think. It’s actually fairly safe to use it."